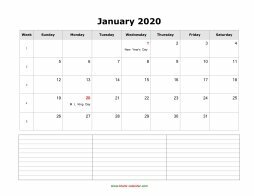 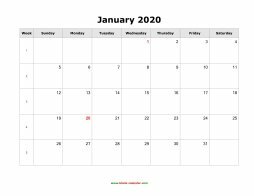 • Blank Calendar 2020 - free download yearly and monthly blank calendar 2020 templates including week numbers, US federal holidays, space for notes. 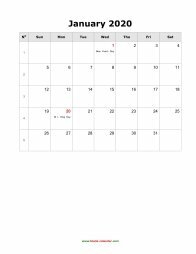 • All free calendars is available in three versions: DOC (for MS Word), PDF (for Adobe Acrobat) and JPG (for Image Viewer). Select the format which you like, follow the link at bottom to preview and free download. 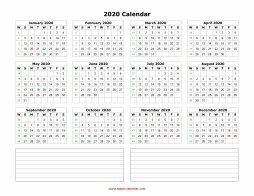 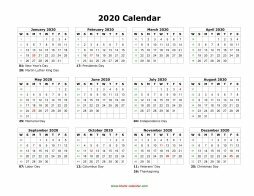 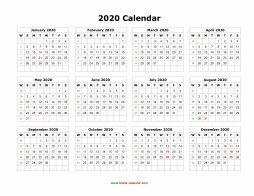 ☼ PDF version: just free download 2020 calendar file as PDF format, open it in Acrobat Reader or another program that can display the PDF file format and print. 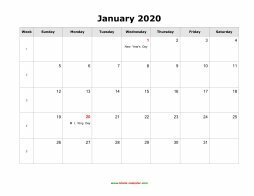 ☼ DOC version: just download Word Calendar 2020, open it in MS Word, Google Docs or any other word processing app that's compatible with the MS Word .DOC file format. 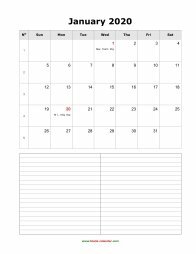 This MS Word Calendar format can be edited, adding your own events and print. 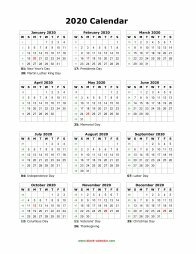 Thank You for making this so easy. 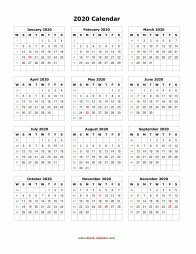 We use this for the kids sporting practice and games. 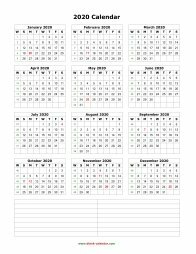 You just have to put it on paper sometimes and this works great.